On Tuesday, 2009 CardPlayer Player of the Year winner Eric “basebaldy” Baldwin became a sponsored pro of the USA-friendly online poker site UB.com. He defeated Cornel Andrew Cimpan and Yevgeniy “Jovial Gent” Timoshenko in the Player of the Year race. In April, Baldwin came out on top of the field in a $2,500 No Limit Hold’em event held during the Venetian Deep Stack Extravaganza and earned $198,000. The colossal six-figure score set up a monumental run at this year’s World Series of Poker (WSOP). Baldwin won his first bracelet by besting Danish pro Jonas Klausen in a $1,500 buy-in Limit Hold’em event to the tune of $521,000. About a week later, he grabbed third in the $10,000 buy-in World Championship of Pot Limit Hold’em, boosting his bankroll by another $259,000. After the 2009 WSOP, Baldwin’s quest to take down the CardPlayer Player of the Year title hit full stride. He told Poker News Daily, “”At the start of the year at the PokerStars Caribbean Adventure, my friends and I were talking about how much fun it would be to chase after that award. I like the structure of a competition like that. It’s so much fun to me. It gives me a goal and something to work with. At the end of the WSOP, I thought it could be my year.” In October, Baldwin final tabled the Ultimate Bet Aruba Poker Classic for $126,000. This month, he padded his resume by winning a $1,000 buy-in preliminary event held during the Doyle Brunson Five Diamond World Poker Classic for $256,000. He was rewarded for his efforts with a contract from UB.com, where he’ll play under the moniker “eric_baldwin,” abandoning his “basebaldy” nickname for the time being. On the November re-launch of UB.com, Baldwin told Poker News Daily, “I thought everything looked slick. I like the new logo and everything runs smoothly. I like the new website and the new features with videos of the pros. We’re going to get into some strategy things on the site that will help people a lot. 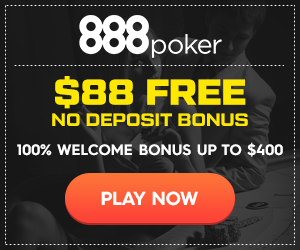 Everything looks slick, runs slick, and it’s exciting.” UB.com makes its home on the CEREUS Network along with Absolute Poker. Both online poker rooms are owned by Tokwiro Enterprises. Baldwin is a former baseball player from Wisconsin and will appear on this week’s installment of the UB.com poker news show “Poker2Nite.” He joins a cast of characters at UB.com that already includes Poker News Daily Guest Columnist Annie Duke, 11-time WSOP bracelet winner Phil Hellmuth, Billy “Patrolman35” Kopp, Bryan “badbeatninja” Devonshire, Brandon Cantu, PokerRoad’s Joe Sebok, Matt “mattg1983” Graham, Michael Binger, and “Amazing Race” contestant Tiffany Michelle. The site’s marquee poker tournament is the $200,000 Guaranteed, a $215 buy-in event that takes place every Sunday at 4:00pm ET. Over the weekend, JohnnyCashGame earned $45,000 for outlasting the 1,014-player field, defeating Bonezee heads-up. All was not lost for Bonezee, however, as the UB.com member received a $27,000 consolation prize. The top 99 players finished in the money and the tournament is also open to customers of Absolute Poker. In a press release announcing Baldwin’s signing, Duke commented, “Eric Baldwin isn’t just a new UB pro, he is UB. Eric loves this game more than anything in the world, he plays to win, and he’s respected for his passion at the tables. We really couldn’t be more ecstatic to have the Player of the Year on our team.” Besides Baldwin, Cimpan, and Timoshenko, others in the top ten on the 2009 CardPlayer Player of the Year leaderboard include Vitaly Lunkin, World Poker Tour Five Diamond Champion Daniel Alaei, Jason Mercier, and 2009 WSOP Main Event winner Joe Cada. According to CardPlayer, Baldwin earned nearly 7,000 Player of the Year Points in 2009 and piled up $1.5 million in earnings.